The Equal Challenge Tournament gives beginner players a unique advantage against their more experienced competitors. 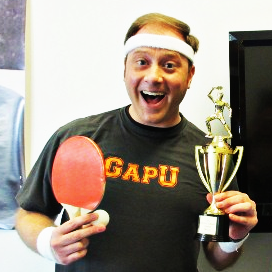 Our custom points system allows beginners to advance confidently in the sport of table tennis, while at the same time giving seasoned pros the opportunity to flex their skills. This is an excellent and unique method for new students to gauge their aptitude, build confidence and focus on progress. 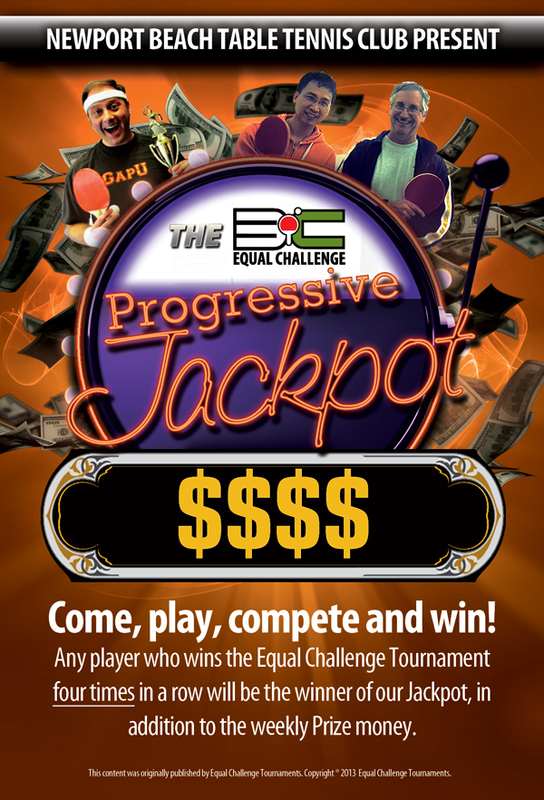 Did you hear about the Equal Challenge Progressive Jackpot? The money prize will increase week by week, so keep an eye on it, as you know all the players have an equal chance to become champions. What I have to do to win the Equal Challenge Progressive Jackpot? Come, play, compete and win! Any player who wins the Equal Challenge Tournament four times in a row will be the winner of our Jackpot, in addition to the weekly Prize money. Did somebody already win 4 times in a row?